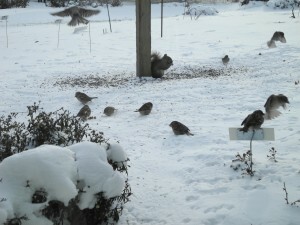 Where did all the Sparrows come from? 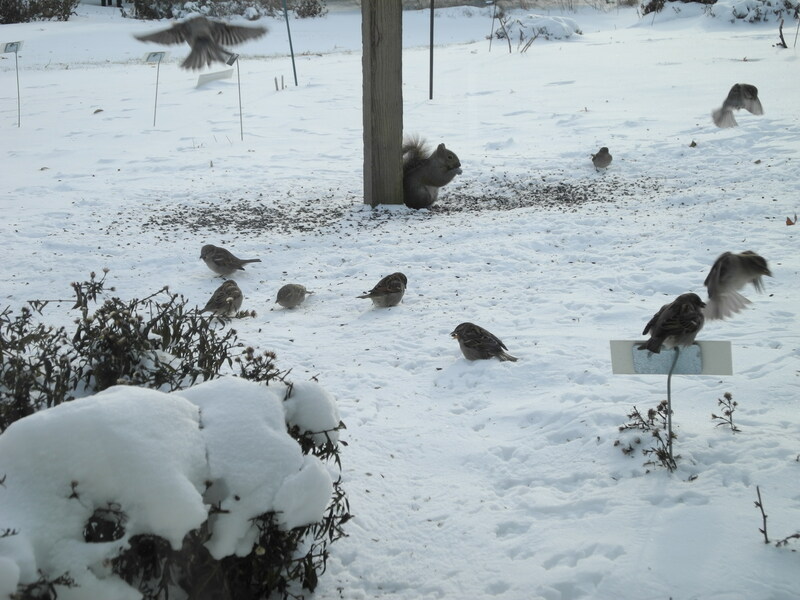 House Sparrow’s surrounding the feeder in the back of the Interpretive Center. The House Sparrow (passer domesticus) originated in the Middle East. These little birds managed to make their throughout Eurasia and into Northern Africa. It was introduced to North American in 1851 in Brooklyn, New York and quickly spread like wildfire. Because of the sparrow’s adaptions to living in urban areas and around people, it has been able to survive well in nearly all parts of the United States. Their presence is not always a positive one for the rest of the bird population due to the sparrow’s aggressive defense of their nesting and feeding areas, which chases away the other, less common birds. These House Sparrows have found a nice little home at the Linnaeus Arboretum and it doesn’t seem as though they will be moving out anytime soon.